Samantha Morrish is an actor, writer and doctoral researcher. 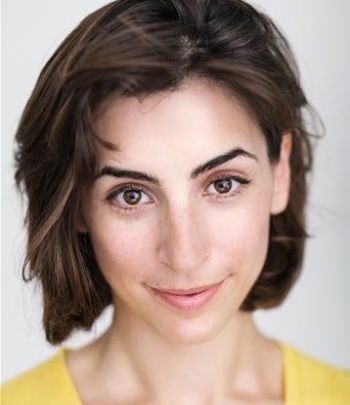 She has acted with a wide range of theatre companies, such as Paines Plough, and has performed at various venues across the UK, including Latitude Festival. She can now be seen performing her own solo show WHERE’S YOUR BADGE? which explores identity through darkly comic storytelling. Her commercial and corporate acting work includes projects for Skittles, Oxford University Press, Pan Macmillan and NHBC. She currently trains in long-form improvisation with The Free Association. Samantha has devised productions for the Blue Elephant Theatre and Fluid Motion Theatre Company. Additional writing credits include, authoring the mini-biography of Ruth Manning-Sanders for the Modernist Archives Publishing Project. The Centre for Collections-Based research at the University of Reading funds Sam's PhD which recovers the collaborative writing processes of 'The Group' poets and the dynamics of their creative workshop.